Did you know that May is National Strawberry month? Yippee! 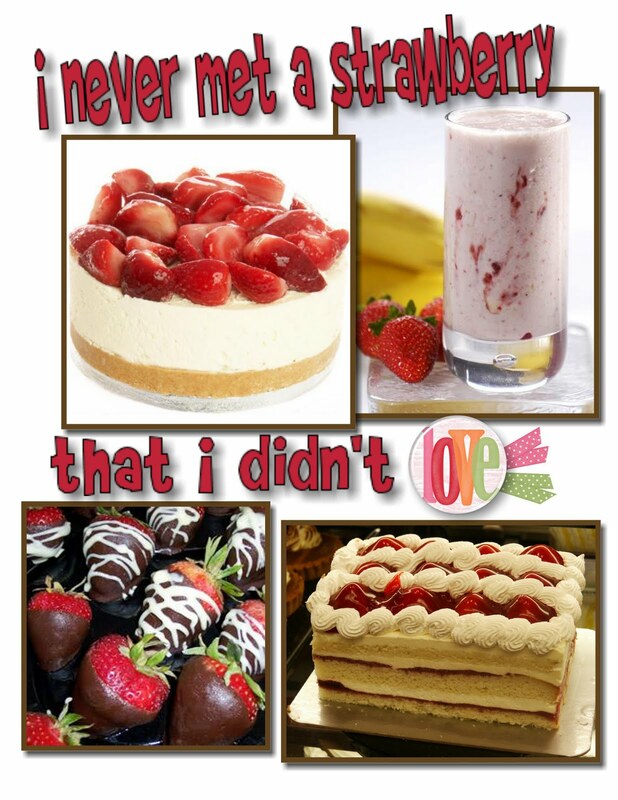 I absolutely love strawberries so I thought I'd gather together some yummy recipes for you. At this link you will find the 25 recipes for chocolate covered strawberries from Foodnetwork-what could be better than chocolate and strawberries! Here you will find the recipe for the Strawberry Shortcake above and here you will find 43 recipes for Strawberry Shortcake dessert at Foodnetwork.....Yum! And here you will find 148 different recipes using Philadelia Cream Cheese and strawberries, including strawberry cheesecake which is my all time favorite!